Further on in the exam sitting you'll start working on practice problems. The syllabus has changed fairly significantly, so some of the past CAS problems are no longer on the syllabus. 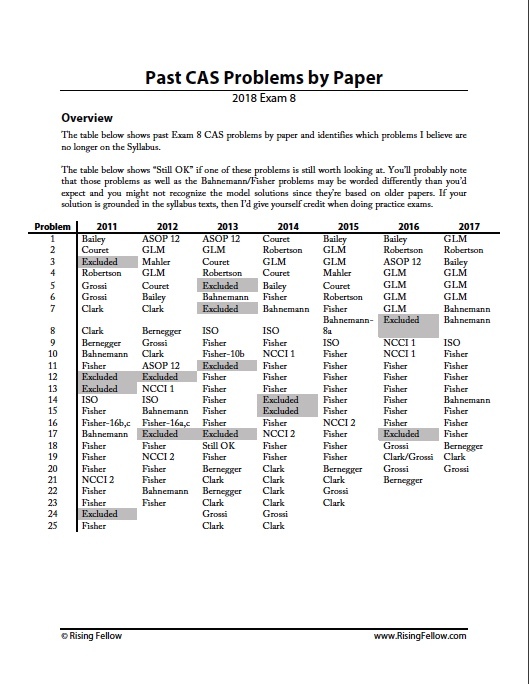 The PDF below shows all of the past CAS problems by paper since the 2011 exam when the exams were restructured. It also shows which problems in my opinion are no longer on the 2018 syllabus. Take a look and hopefully it'll help once you start working on past CAS problems and practice exams. Older Post2018 Exam 8 products are now available!